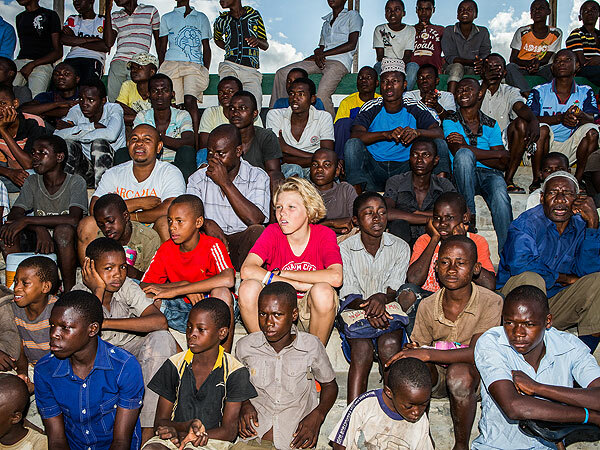 One minute, 10-year-old Ethan King was standing alone, kicking his soccer ball around a dusty, deserted field during a trip to Mozambique, and the next, dozens of kids were playing soccer with him. "It was crazy," says the Grand Haven, Mich., resident. "Everyone was screaming and laughing and having fun." That's when it hit him, he says, "how much joy a single soccer ball could bring." After a couple of kids showed him their soccer balls, made of balled-up trash bags and twine, the competitive soccer player says, "I felt really bad knowing that I had seven soccer balls in my garage back home and these kids didn't even have one or have access to buy one." Since that day in 2009, King resolved to change that. King, who had been visiting the country for two weeks with his dad, started by giving away his soccer ball, the first of 4,000 balls that have been hand-delivered to kids in 22 countries since King, now 14 and a high school freshman in Michigan, began Charity Ball in 2010. "This came from the heart," says his father, Brian King, 44, an executive director at Vox United, who was repairing water wells in Mozambique, when Ethan discovered his passion for giving. His mom Lorie, 45, says, "We just fanned the flame." It was Ethan, who called corporations asking for donations, and spoke to kids and parents about Charity Ball's mission, on the sidelines of soccer games. For a $25 donation, Charity Ball guarantees that a brand new soccer ball will be hand-delivered to kids who can't afford to buy one. Individual donors, corporations and other groups can also sign up to deliver balls through the website charityball.org. "Anyone can apply to take soccer balls with them to a place they are traveling to," explains Ethan, who returned to Mozambique last summer to help organize a soccer tournament and deliver balls. Kids like Marques Nhongonheia, 10, and Divino Filipe, 11, from Mozambique, are among the recipients. 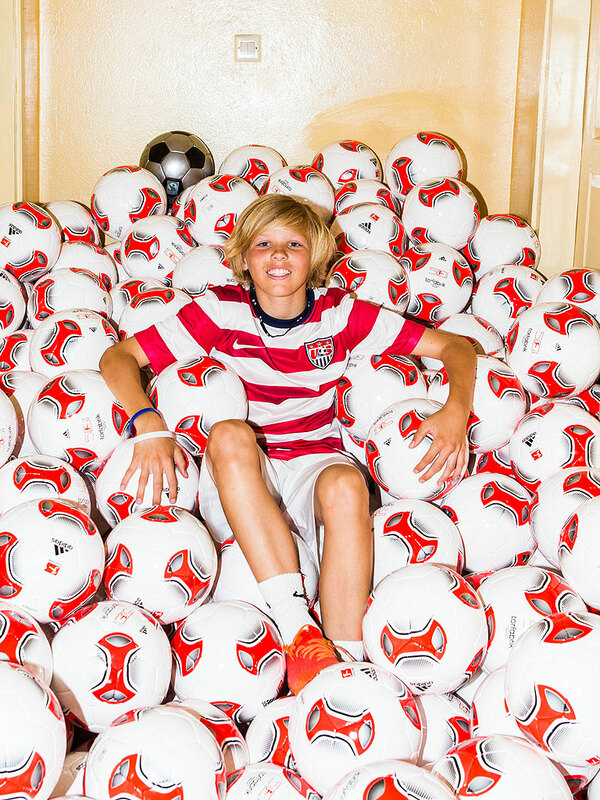 "Now I own a ball that I can share with my friends and have a team for kids our age," says Filipe. Says Nhongonheia: "Now we are playing with the same type of ball. I am just like one of those players we watch on television. The ball I received from Charity Ball has inspired me to take soccer seriously. " To date, the nonprofit, first created at the Kings' kitchen table, has inspired 75 corporations and 1,000 people to help hand deliver soccer balls to kids in developing countries. "I've learned you don't have to be a celebrity or be a certain age to make a difference," says Ethan. "I just wanted to do more because I knew I could." For more, go to Charityball.org and watch a short documentary called Pass the Ball, about Ethan King's work.